We love to visit Chinese buffets because we can get a large variety of flavors without ordering too many dishes. 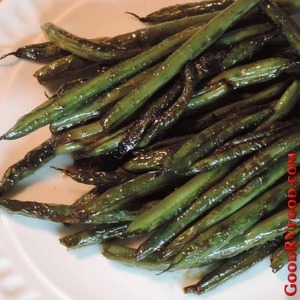 Many of them serve these delicious Asian style green beans with a sweet and salty garlic sauce. I finally decided to find a recipe to make them at home and this is the best one. This is simple enough to make in the RV but special enough to serve guests at home. The green beans taste just like the restaurant version. The only problem is that I don't get to eat my favorite hot and sour soup and egg rolls because those are too hard to make in the RV with my limited pantry. 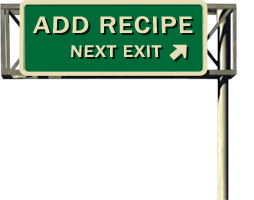 This recipe is easy to customize and expand. You can add some crushed red pepper flakes if you prefer your food on the spicy side like I do. You can also use this cooking method and sauce with almost any cooked green veggie such as broccoli. Adding sliced water chestnuts at the end of the cooking to just warm up a little adds a nice crunch. Combine the soy sauce, honey, and a Tablespoon of water in a small dish and set near the stove. Heat the butter and olive oil over medium-high heat in a large skillet. When the butter is melted add the green beans and 1/2 teaspoon salt and toss with tongs to coat well. Cook, turning the beans occasionally, until most of the beans are well browned and tender, about 7 or 8 minutes. The butter in the pan will have turned dark brown. Reduce the heat to low, add the garlic and cook, stirring constantly with a heatproof spatula, until the garlic is softened and fragrant, 15 to 30 seconds. Carefully add the soy mixture, you will need to scrape the honey into the pan. Cook, stirring, until the liquid reduces to a glaze that coats the beans, about 30 to 45 seconds. Immediately transfer the beans to the serving dish, scraping the pan with the spatula to get all of the wonderful garlicky sauce. Serve warm.